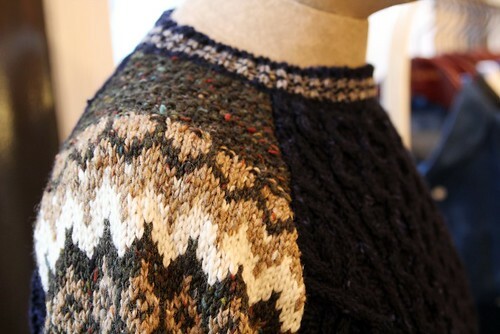 For AW12, Casely-Hayford have continued to grow their made in Britain offering which have provided some real gems of the collection. I'll return to the collection in much more detail later in the season but in the meantime but I just wanted to offer you this glimpse at the Donegal made jumper. The flecks of colour and knit variation combine so that the landscape and wool are entwined.